~네(요) = a surprise expression. adj/verb + 네(요) is used when you suddenly realize about something or you just received any information that you didn't know before. 나는 스키 타본 적이 없어요 = I've never played ski. 남동생은 후주에 가본 적이 있어요 = My brother has been to Australia. 나는 두리안 먹어본 적이 있어요 = I've tried to eat durian. 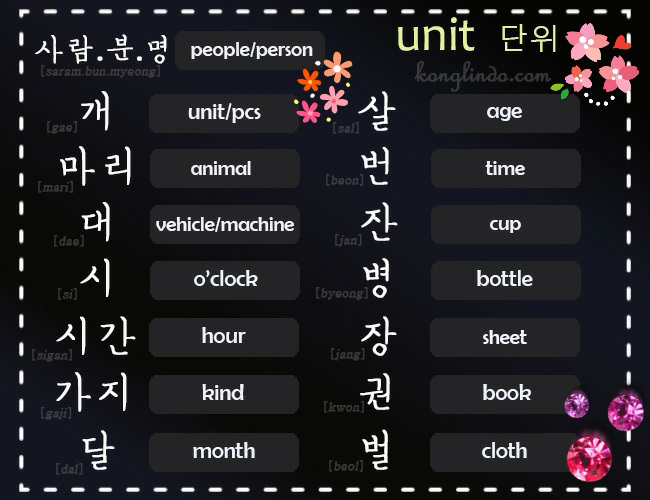 Unit in the Korean language is required when counting the number of objects or people. 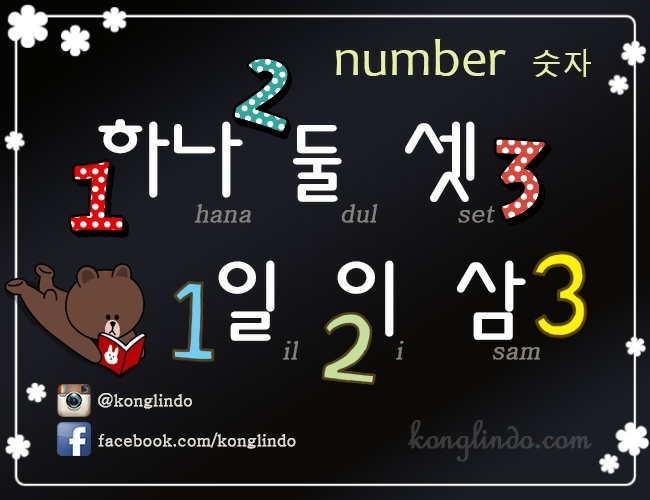 These kind of units are only used with Native Korean numbers. 여기 소주 두병 주세요 = Please give me 2 bottles of soju. 한시간 기다렸어요 = I waited about 1 hour. 커피 네잔 만들어주세요 = Please make 4 cups of coffee. 다섯시에 만나자 = Let's meet at 5 o'clock. 바나나 두개 먹었어요 = I ate 2 pcs of bananas. 세번 해봤어요 = I tried 3 times. 나는 서른살이에요 = I am 30 years old. 집에 강아지 여섯마리 있어요 = I have 6 puppies at home. 세가지 방법이 있어요 = There are 3 kinds of way. ~아/어서 = Connect two sentences, a cause and an effect between the two acts or circumstances. Could be interpreted as "so" or "because"
아파서 학교 못가요 = Because I am sick, I can't go to school. 일 너무 바빠서 전화 못받아요 = I can't pick up my phone because I am too busy. 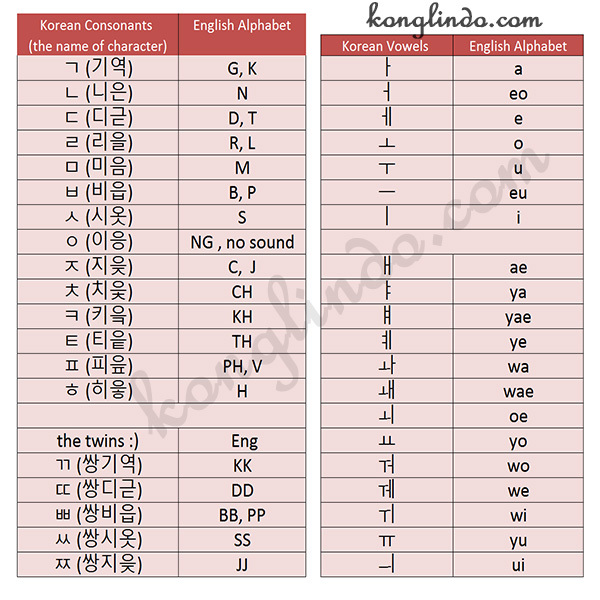 The Korean Language has two regularly numeral systems, a native Korean system and Sino-Korean system. Sino-Korean system are used for dates, money, measurements, math, addresses, phone numbers, minutes, and numbers above 100. 이가방은 오만원입니다 = This bag is W50,000. 오늘은 사월 육일입니다 = Today is April 6th. 여기서 집까지 오킬로미터입니다 = From here to my home is about 5km. 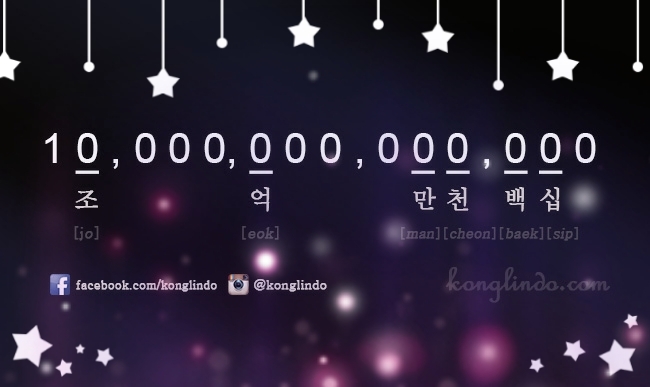 Sino-Korean counting system is based on increments of 10,000. 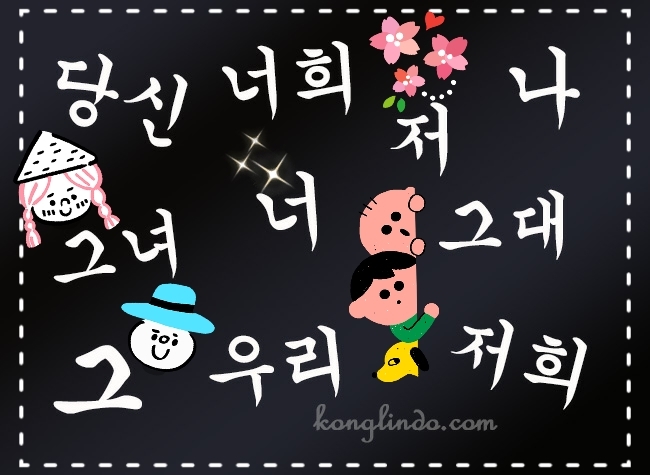 Native Korean system are used for ages, hours, counting, counting physical objects/people (usually followed by 개, 명, 사람, 분, 잔, 대, 장). 집에 차동자가 3대 있습니다 = There are 3 cars in my house. 제 할머니는 여든아홉살이에요 = My grandmother is 89 years old. 여기서 산지 세달 됐어요 = I've been living here 3 months. 종이 다섯장 주세요 = Please give me 5 sheets of paper. 우리 가족은 네명 이에요 = There are 4 people in my family. 물 한잔 주세요 = Please give me a cup of water. [런닝맨] Using ~(으)러, ~냐? || 야 설현 만나러 가냐? - Hey, are you going to meet SeolHyeon? 밥 먹으러 나가자 = Let's go out to eat. 친구들 만나러 갔어요 = I went to meet friends. ~냐? = [반말] is used for asking to very close friends / friends (same age) / younger people. 밥 먹었냐? same with 밥 먹었어(요)? = Did you eat? 공부 안했냐? | 공부 안했어(요)? = Didn't you study? 청소 안하냐? | 청소 안해(요)? = Are you not gonna clean it? 어제 런닝맨 봤냐? | 어제 런닝맨 봤어(요)? = Did you watch Running Man yesterday? *sentences ending with 아/어(요) softer than 냐. 가 + 냐 = 가냐? [태양의 후예] Using ~(으)ㄹ까요 || 사과 할까요? 고백 할까요? - Should I say sorry? or Should I make a confession? 밥 밖에서 먹을까요? = Should we go out for dinner/lunch? 영화 볼까요? = Should we watch a movie? 집에 갈까요? = Should we go home? 사과하 + ㄹ까요 = 사과할까요? 고백하 + ㄹ까요 = 고백할까요? [마리와나] Using ~자 || 빨리 나가자! 빨리! - Let's get out quickly! Hurry! If you are a man, you will call your older sister 누나 (noona) and your older brother 형 (hyeong). If you are a woman, you will call your older sister 언니 (Eonni) and your older brother 오빠 (Oppa). 저희한테 물어봐도 돼요 = You can ask to us. 그대는 너무 아름다워요 = He/She is so beautiful. 너희 둘 뭐하고 있어요? = What are you two doing? 그녀는 오랜친구에요 = She is an old friend. 그는 그회사에서 일해요 = He works at that company.